The Department of Motor Vehicles (DMV) in Vermont requires you to obtain motorcycle registration before you ride your motorcycle. 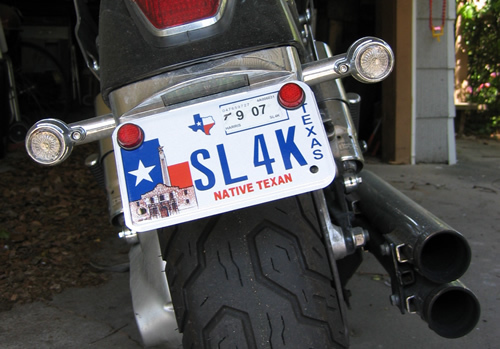 It is illegal if you are found riding a motorcycle that has not been registered. Initial registration is done in the main DMV center in Montpelier. When you are applying for motorcycle registration for the first time, you will need to complete the Vermont Registration, Tax and Title Application. At first, filling out this form can seem to be difficult. But when you go through it, you will find it convenient to fill. The state provides a manual with step-by-step guidelines on how to fill your application. For more information on how to fill the form, contact the DMV office by phone at (802) 828-2000. Once this form is filled out, you can either mail it or drop it at the main DMV office. Remember to include all the required fees. The DMV will process your registration within three weeks. Once your motorcycle registration application is processed, you will receive the registration certificate which expires annually. The DMV will send you a renewal notice about three weeks before the expiry date. You can then complete the registration renewal application forms and then return them to the main DMV office along with the stated renewal fee. If you decide to mail it, you will be issued with new license decals and updated registration certificate in your mail within two weeks. If you fail to get a renewal form, you must then fill out the registration renewal application forms and return them to the main DMV office along with the renewal fee. You can also renew your motorcycle registration online. This can be done through Vermont’s new DMV Express service. Online renewal is fast, easy and convenient. It takes just a matter of minutes to complete the online forms. You must also have a valid credit card at hand to pay the renewal fees. Once you complete the online forms and pay the appropriate renewal fee, you will receive your new license decals and updated renewal certificate within two weeks.